Providing cash flow solutions to small and medium-sized businesses in Tampa, St. Petersburg, Clearwater, Orlando and cities throughout Florida. 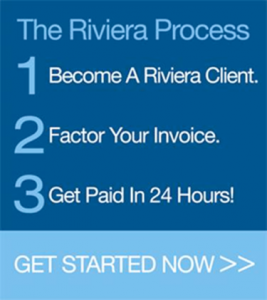 The Riviera Finance Tampa office provides invoice factoring services to companies in Tampa, Orlando, St. Petersburg, Clearwater and all cities throughout Florida. A specialty wholesaler that distributes exclusively to assisted living facilities and the health club industry was looking for a way to grow their business without creating debt. They also needed to find a way to extend large credit lines to customers without risking personal assets. Riviera offered them a way to accomplish both of these objectives. Now after factoring for over a year with Riviera, this company relocated to a state-of-the-art warehouse facility. They are on target to do $5MM in sales (versus previous $3MM in 2002), easily meeting payroll and forming a wholesale subsidiary to increase business and profit margins further. This company has been growing steadily for their first five years in business. Suddenly, with more customers requiring extending payment terms, they found themselves with cash flow problems. While researching their options, they came across Riviera’s website. 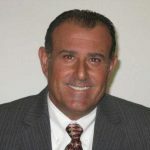 Within a short period, they became a client and are now using Riviera’s invoice factoring services to fund their day-to-day expenses.